Oprah Winfrey has begun her “Life Class” television series on her OWN network. Just yesterday she asked her viewers to explore the “lies” in their lives, using Ellen DeGeneres lesbian “coming-out” experience as her example. The online viewers who signed in to her life class numbered almost 25,000. This is not including those who watched the show live. How is it that Winfrey who says she is a Christian, but embraces the teachings of Eckhart Tolle and others; can amass such an audience of women? What are they looking for? Who will tell them the truth? The real truth. How many of them are Christians who do not know their bibles well enough to identify false teaching? It is grievous that women all over the country will flock to their television sets, and register online to hear unbiblical philosophies and follow false teaching. Please read the following link. It is a comprehensive look at what Oprah is teaching. Consider your neighbors, friends and what you are investing in. 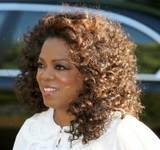 There is no doubt that Oprah Winfrey is the world’s most popular and powerful woman. And there is also no doubt that she is the most dangerous. I make that assertion without hesitation because she has emerged as a New Age High Priestess who is deceiving millions into rejecting God’s Word and embracing, instead, a convoluted theology that is straight from the pit of Hell. Ellen DeGeneres Stands in Her Truth – Video – OWN TV. Meet us: October 21, 9:30 am at Beth Ariel Congregation, 22222 Saticoy Street, Canoga Park, CA. 91304. See the Meeting Info page for more information. This entry was posted on Friday, October 14th, 2011 at 10:52 pm	and posted in Uncategorized. You can follow any responses to this entry through the RSS 2.0 feed.